San Diego Region SCCA is pleased to announce that 2014 will mark its return to road racing, with a*May 17-18*double divisional race at Chuckwalla Valley Raceway in cooperation with Arizona Region. For those of you unfamiliar with Chuckwalla, it features a technical, 17 turn 2.68 mile road course, which we will be running in the clockwise direction. ** With its smooth pavement and numerous elevation changes, it has to be considered a driver's track. * Gas, food, and permanent restroom facilities will be available at the track. * While the nearest hotels are about 40 miles away, camping is allowed onsite and there are several trailers provided by the track for overnight rental. * It is roughly equidistant from Phoenix and Los Angeles, and for much of urban Southern California it is a shorter drive than any track other than the Autoclub Speedway. 2014 is a particularly exciting year for West Coast SCCA members, as the runoffs will be held in California for the first time in 50 years. * Our Chuckwalla race will be one of four Southern Pacific divisional qualifiers on the Road to the Runoffs. San Diego Region had a very active and accomplished road racing program for many years, which ceased when we lost access to the track at Holtville. * Our goal is to rebuild that program and contribute to that proud history. * Volunteers are necessary for any SCCA race, and we will be calling on our membership to step up and join in the fun in the very near future. * Look to this space for further announcements and updates. Chuckwalla in May will be beautiful. I'll volunteer if I can. Maybe if I win super lotto I'll be able to compete too. A couple newby questions for this event, bear with me. Do we need a different license/ SCCA membership for this or is the normal one I have for autocross ok? Are we racing door to door for position or still against the clock? Thanks! 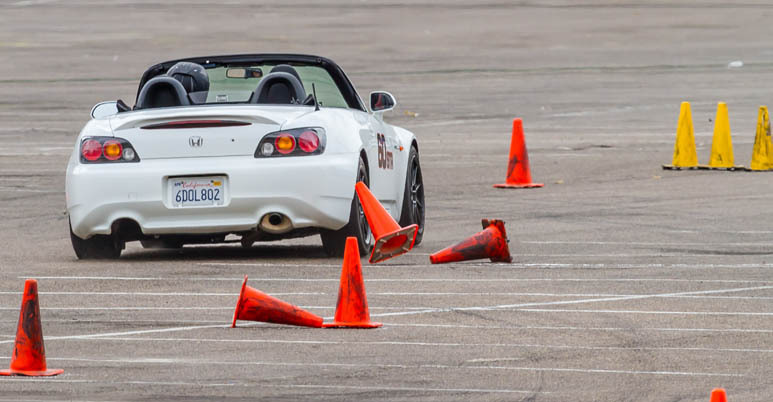 Hi Tom, this is a Club Race, not an autocross and has a completely different set of rules. It is wheel-to-wheel racing and requires a Club Racing license. Since this is full out racing, the safety requirements are much higher including drivers suit, harnesses, roll bars, medical check for license and a drivers school or two. I suggest you read up on the details at Go Racing and in the General Competition Rules. And in general, bring big $$$ as the entries are much higher, you will run through tires and brakes very quickly and feces occur, so the damage risk is substantially higher.